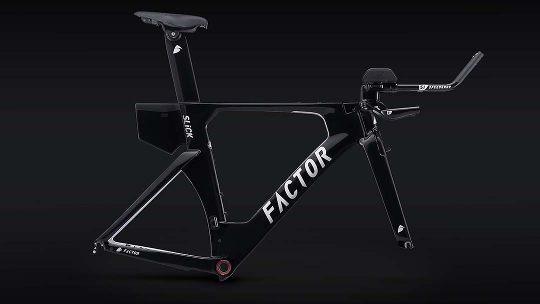 Factor took to their Time Trial / Triathlon designed bike with one-word, Obsession. Their goal was to produce a TT bike which has the lowest aerodynamic drag and the highest possible stiffness. The result? A twin vane downtube design that provides an advantage of 100g of aerodynamic efficiency at 40km/h, integrated brake design and deep airfoil seat tube which all, plus a combination of Factor teaming up with aerodynamic specialists 51 SpeedShop, has produced a bike that helped Romain Bardet push for a 3rd place overall finish at the 2017 Tour de France. 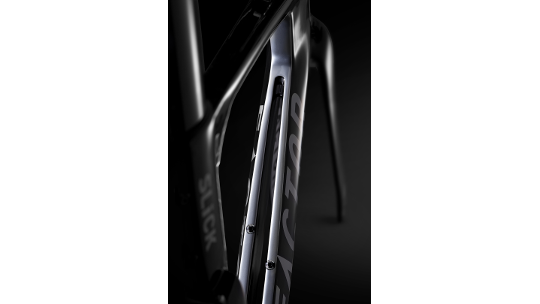 The slick comes kitted out with Factor's brand-new Mono-Riser aero bars with a carbon base bar and extension design, that allows a number of fitting options to optimise your position. Finally, the carbon storapak and BTA mount come as standard with the frameset, allowing space to store your essential spare parts and favourite nutrition and a place to fit a forward or rearward facing bottle on the TT bars, respectively. 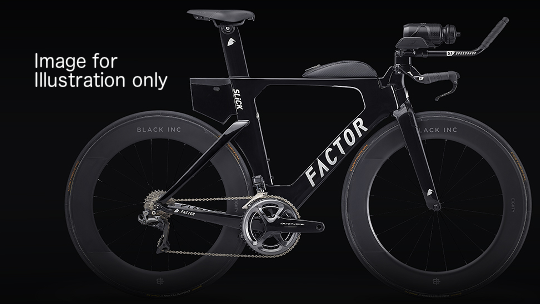 Factor Slick is offered with Zero and Offset seatposts, with the aerodynamic profile allowing for easy Di2 internal battery installation. 1-bolt saddle clamp for easy setup, available for carbon and metal saddle rails (7×9 or 7×7 rails) Zero and +40mm stems are offered, to fit a wide range of stacks and TT or Triathlon styles. Please refer to the Pad Stack&Reach chart to find the perfect fit. 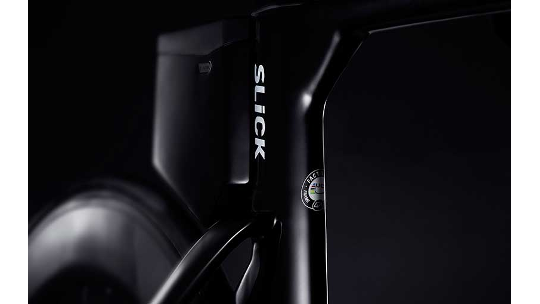 Factor Slick includes a seat-tube mounted Stora-Pak, a lightweight carbon fibre storage solution to carry spare parts for training or triathlon racing. The StoraPak is fully integrated with no aerodynamic penalty and easy installation. Storapack has room for 2 inner tubes, tyre levers, CO2 inflation device with 2 spare cartridges and a small multi-tool. 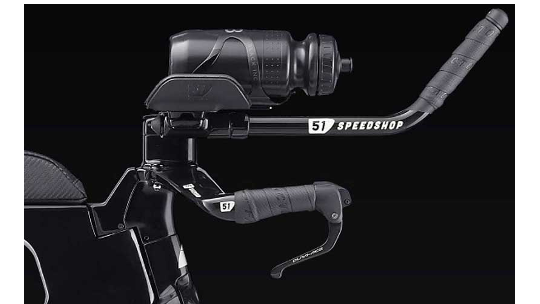 Directly mounted to the aero bar, the BTA mount comes standard on the Slick. 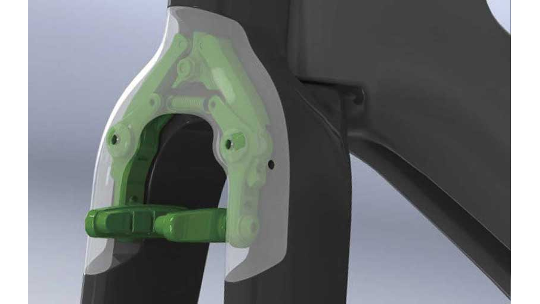 The BTA mount allows for forward or rearward bottle mounting in between the pads. BTA hydration systems allow the triathlete to use their preferred cage and bottle and take standard bottles from aid stations on the fly. BTA hydration systems have proved to be the fastest and most convenient solution for a triathlon. 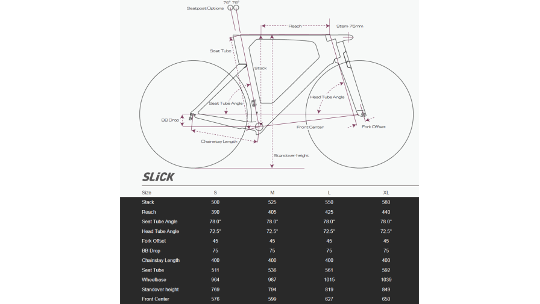 Seatpost: Factor SLICK Zero RGi Carbon Zero (0 mm set back). 27 mm set back also available.